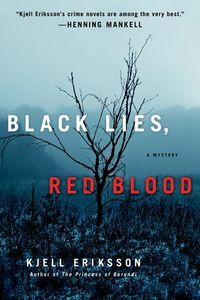 Black Lies, Red Blood by Kjell Eriksson: Synopsis and Online Purchase Options. Synopsis (from the publisher): Police officer Ann Lindell is great at solving crimes, but she doesn't have as much luck in her personal life. When she meets journalist Anders Brant, Ann thinks her luck has turned around. But then Anders disappears without a trace and a homeless man's body is found with Anders' phone number in the dead man’s pocket. As Ann races to find Anders, she hopes that she will not be too late, and she also hopes that whatever she discovers will not break her heart.